If you skimmed on last night’s 8 hours beauty sleep then panic not! A little makeup and skincare magic can work miracles in helping you create that bright eyed look. To refresh your eyes before applying makeup, I love to apply Dr Andrew Wiel for Origins’ Mega Bright Dark Circle Minimiser; I’ve always been a fan of the Mega Bright range and this new addition is now a staple in my morning routine. Under eye circles are my main concern, yet with a slightly oily skin type, I have to stay clear of rich creams, but this has a light yet luxurious texture. I’ve been using it in the evenings too, for about three weeks now and some days I even feel that I can go without under eye concealer – something I definitely couldn’t have done before using the product! The next thing I apply in the mornings, before any dark shadow or liner is Benefit’s Eye Bright; it’s a chubby stick with soft, light pink crayon which you can apply in the corners and waterline of your eyes for a look touted as ‘a coffee break in a stick’! 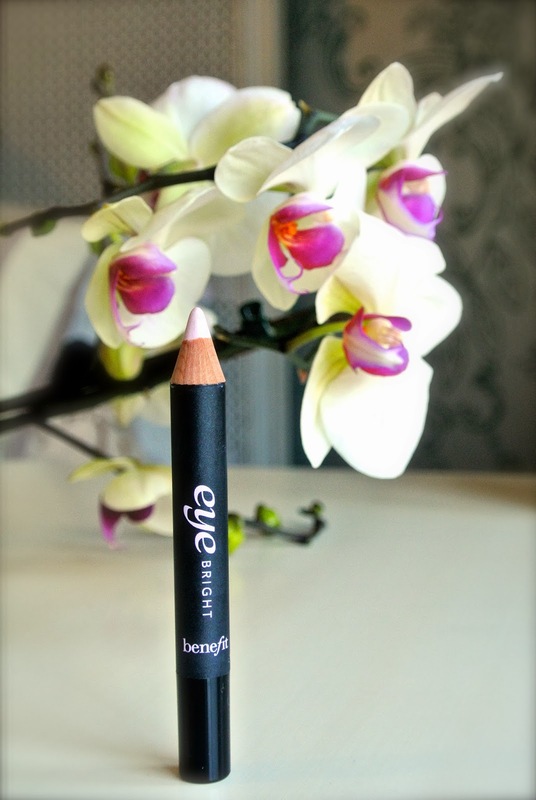 I previously used flesh coloured pencils to brighten the eye area, but, without having any shimmer, this stick adds brightness to a tired eye area. As you apply to the waterline, it isn’t that long lasting so it might be worth popping in your handbag, but I feel that by the time it’s worn off, I am usually awake enough anyway! Anything that draws attention away from the under-eye area is a good idea, and when I’m feeling conscious about dark circles, I always try to compensate by doing fab brows. Enter the Nars Brow Perfecter. Available in four shades, the brow pencil can be used to create natural looking hair-like strokes. The formula is thick which means you can press hard for precision without worrying about getting a scouse-brow! 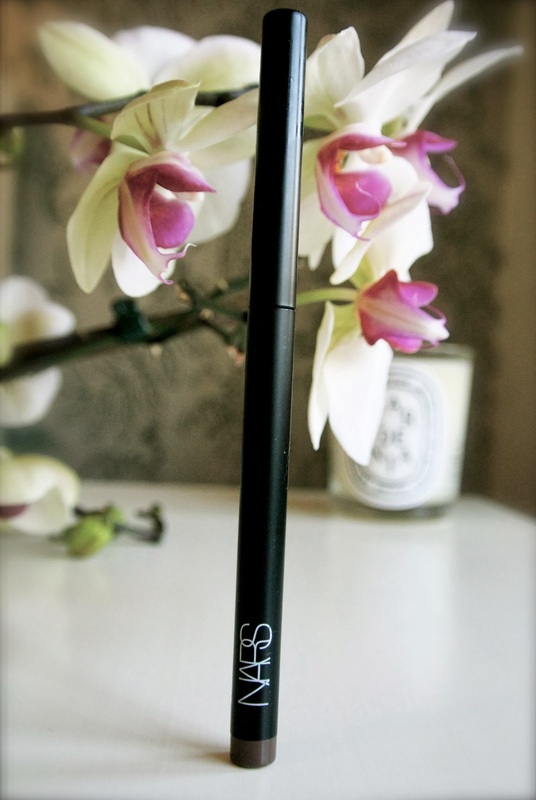 I previously always opted for cheaper brow pencils, wondering what the difference was, but now I have tried the Nars brow perfecter I won’t be going back! I have to admit that I was a little sceptical as to how a mascara could make my eyes look brighter, but if anyone can prove me wrong, it’s Origins! They describe it as a high performance, naturally-derived mascara which works to instantly boost the appearance of lashes by delivering lift, length, volume and definition. The brush has an advanced bristle technology so that the mascara glides on easily and coats each lash from root to tip to help define even the sparsest of lashes. I love that the formula is heavily pigmented, with a contrast of blue pearls to make your eyes appear even brighter, and the vitamins in the mascara nourish your lashes and never leave them dry or flaky like many thickening mascaras do. If I need more volume, I sometimes layer it up with Benefit’s They’re Real mascara but always start with Origin’s nourishing and natural formulated mascara. Have you got any tips for creating that Bright Eyed Look?